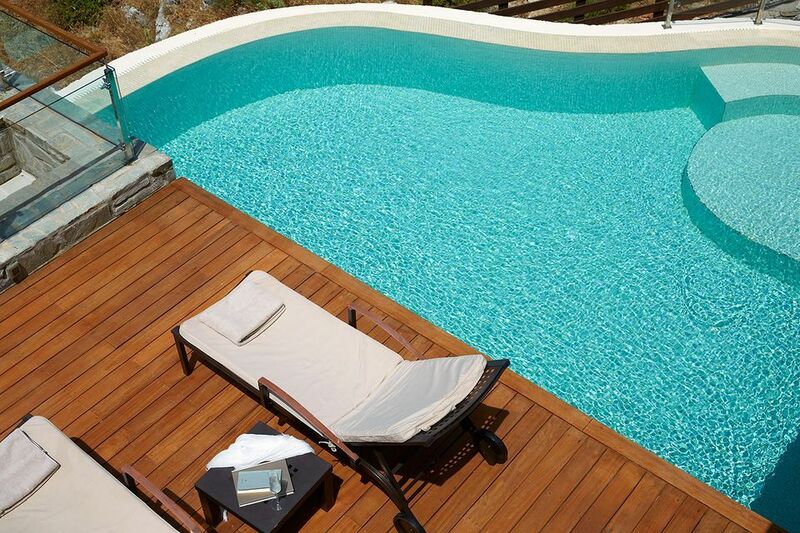 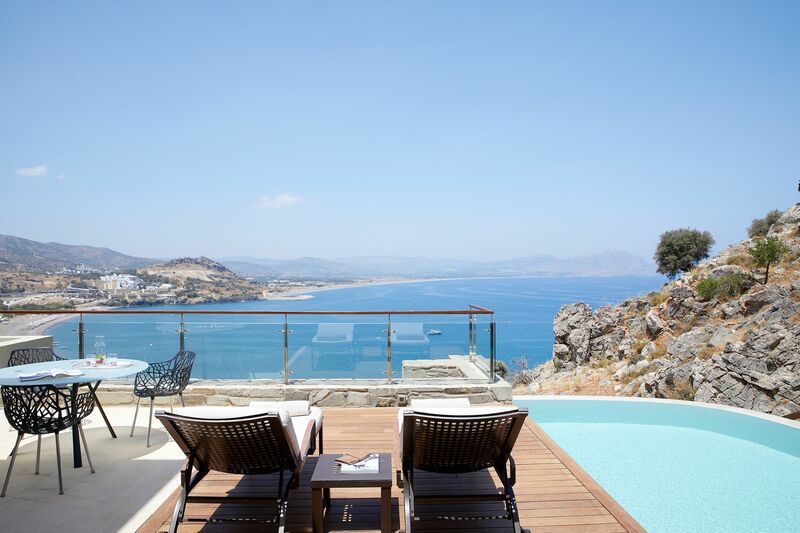 This elegant two-level residence can accommodate up to four adults who seek the very best accommodation in Lindos, Rhodes. 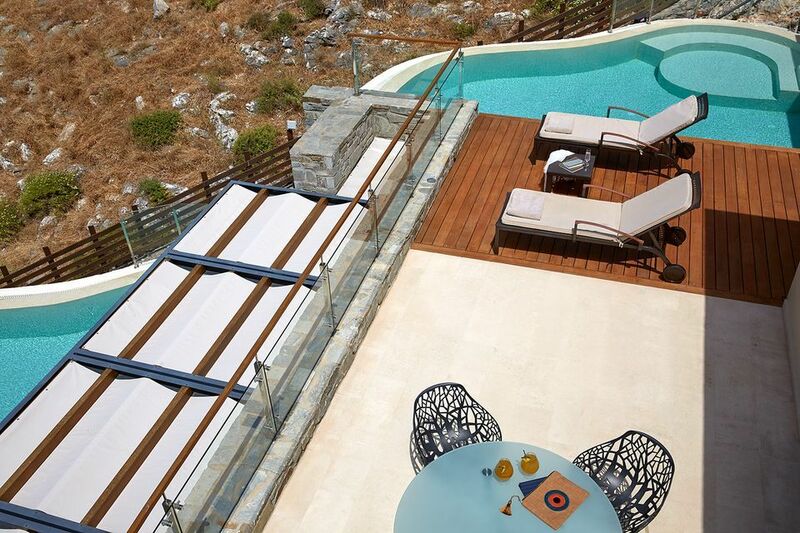 The ground floor features a spacious living area and a king-size bedroom with en-suite stylish bathroom. 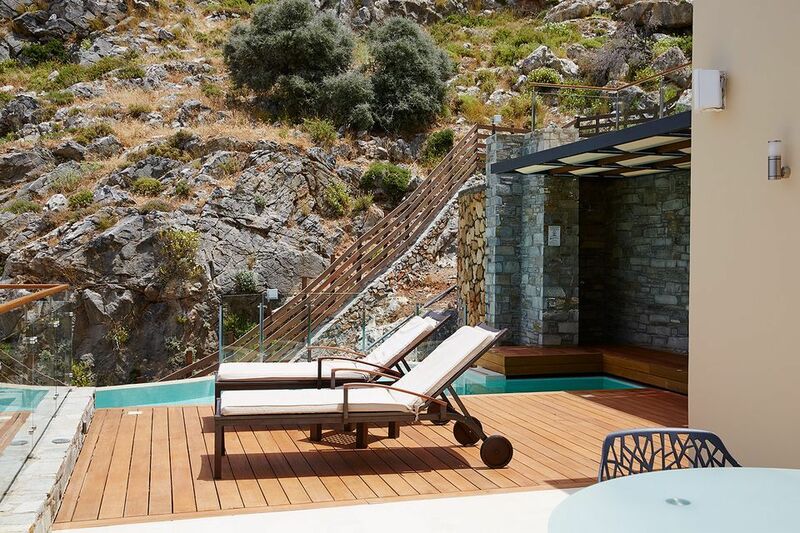 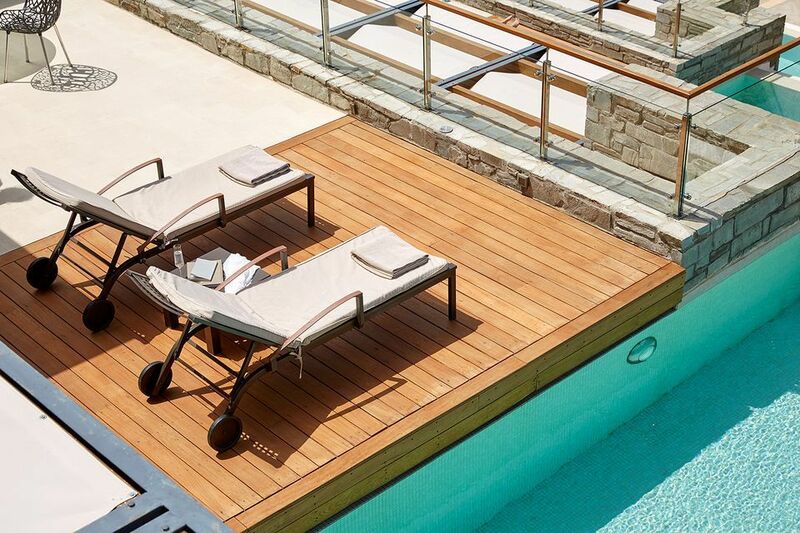 Glass doors lead from the lounge onto a large stone terrace with sun beds, a dining area, double Jacuzzi, outdoor shower and a private, temperature-controlled infinity pool that melts into the horizon. 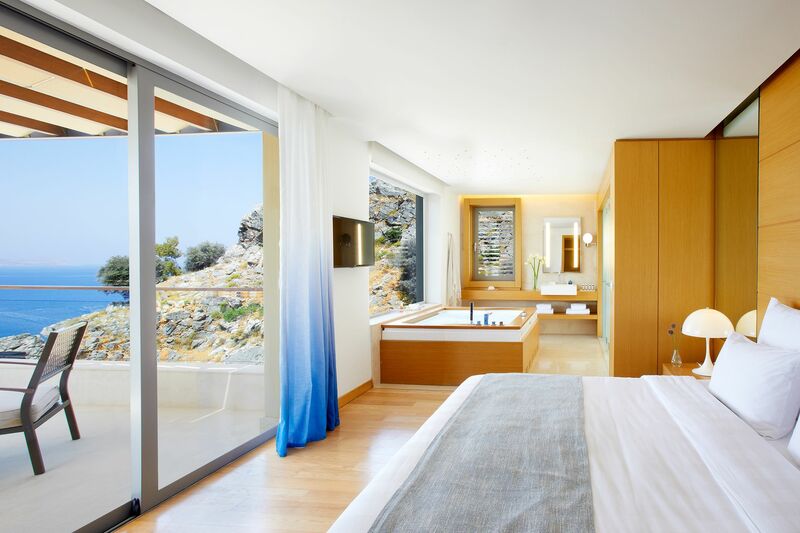 On the first floor, the master suite is decorated in cool neutral tones with marble floor. 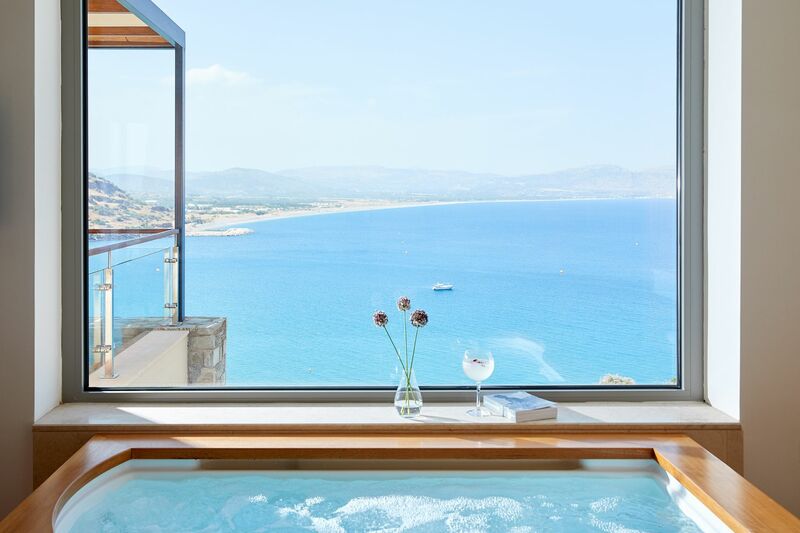 A double hydro-massage tub is set in the bedroom to make the most of the sea view. There are luxurious walk-in wardrobes, separate WC and rain-shower cabin. 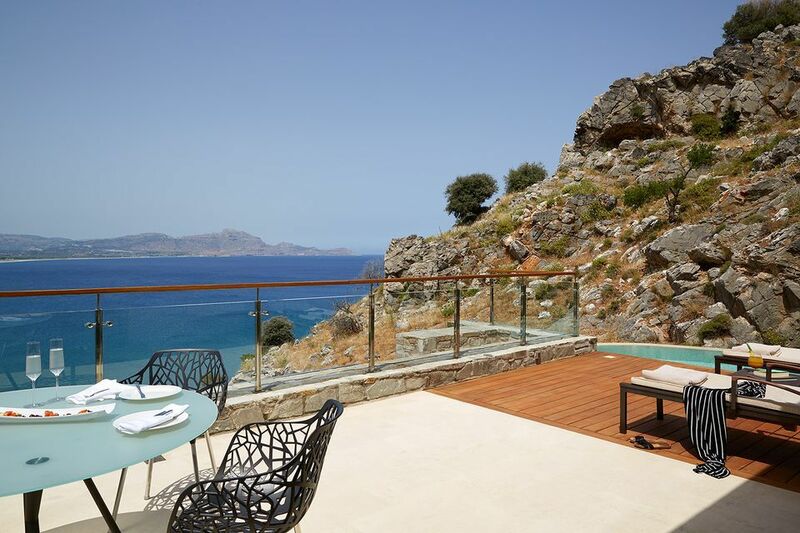 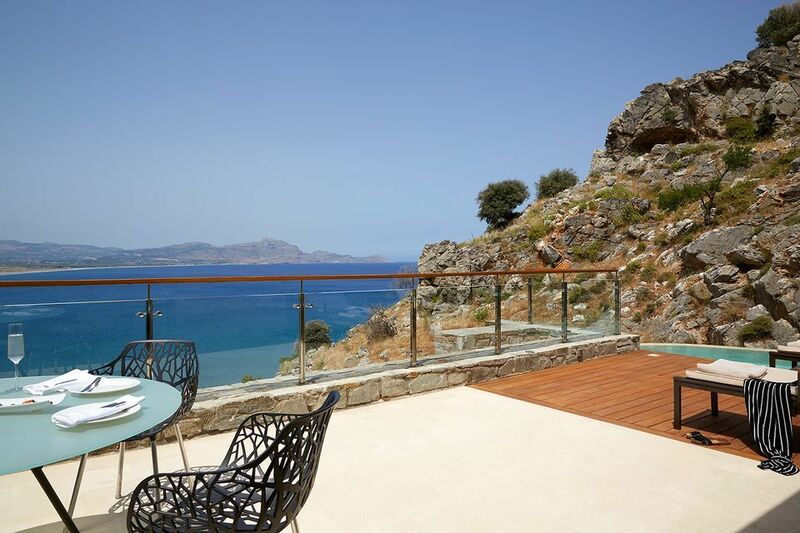 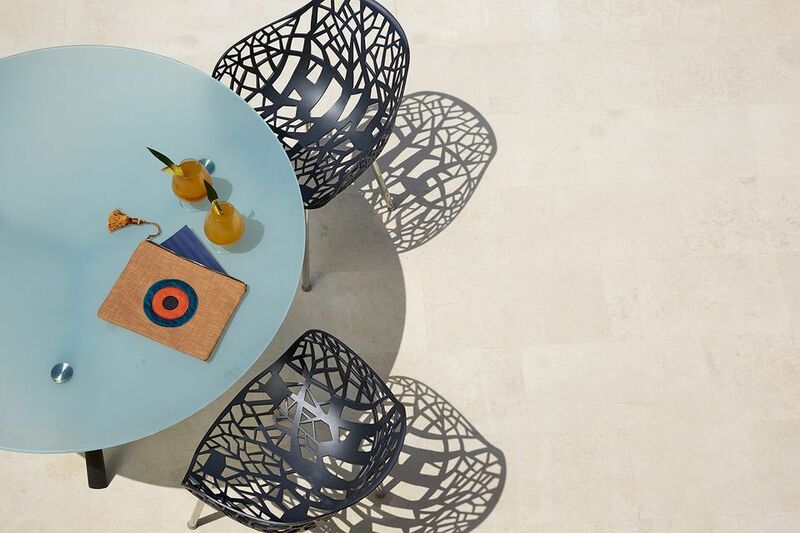 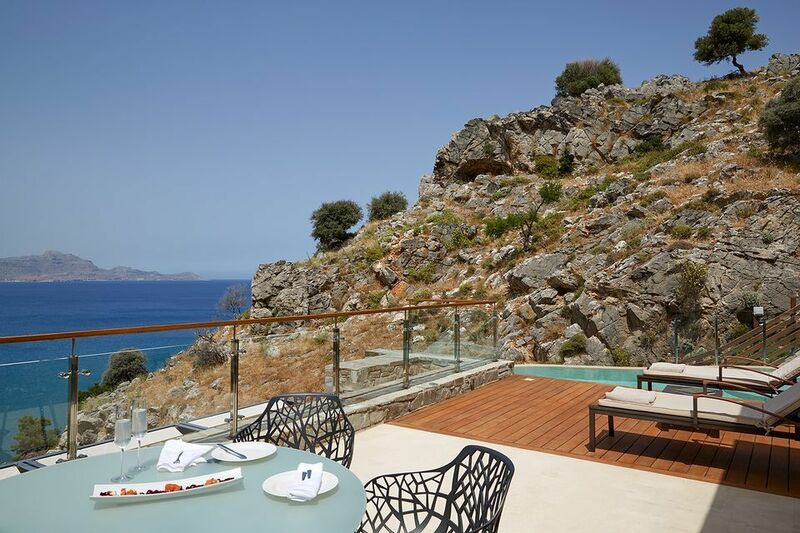 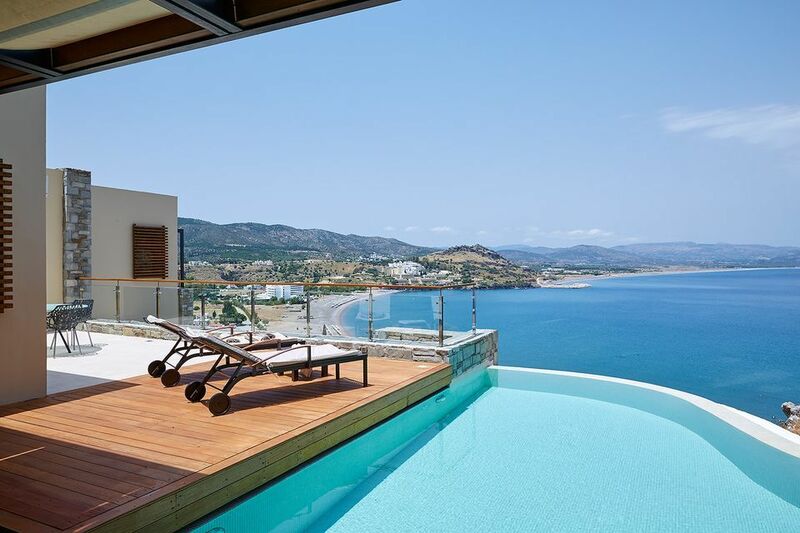 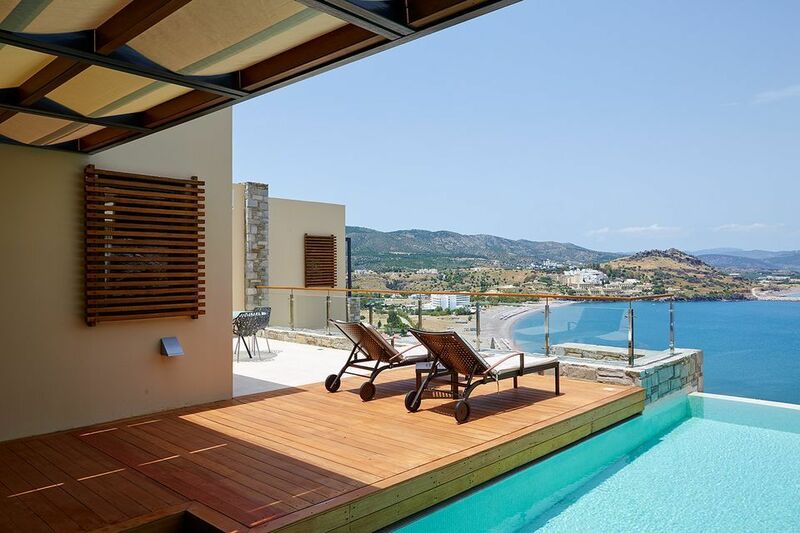 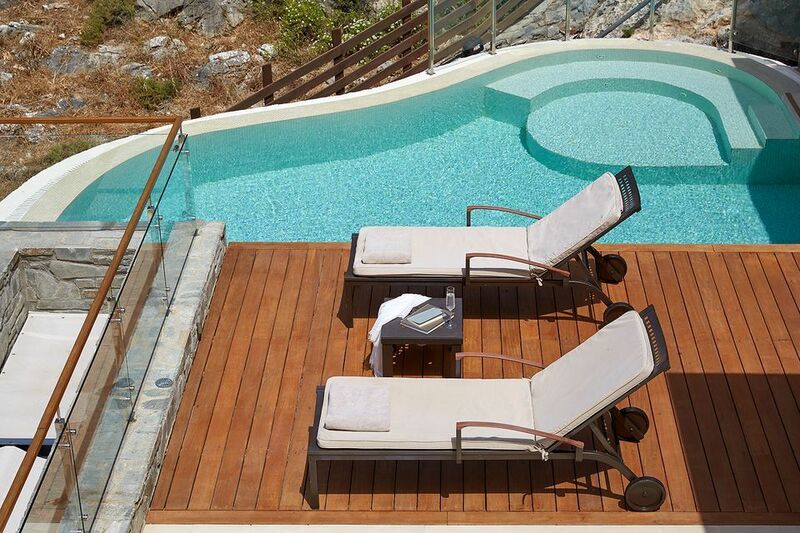 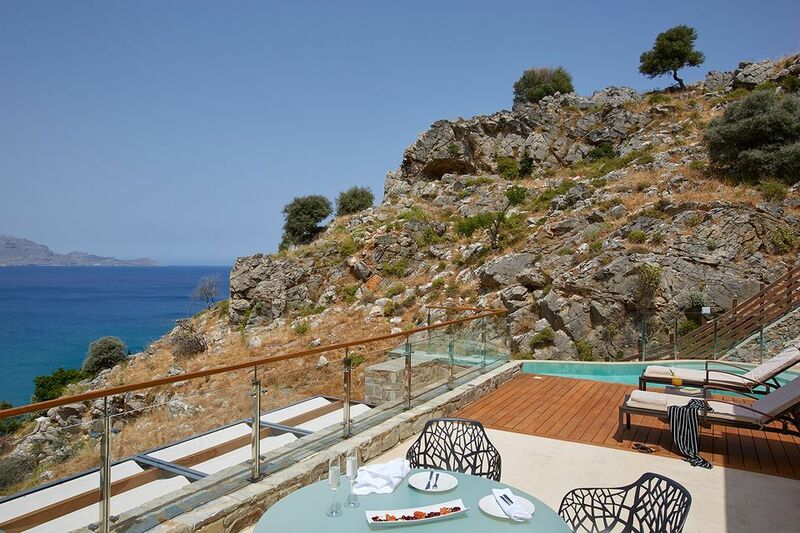 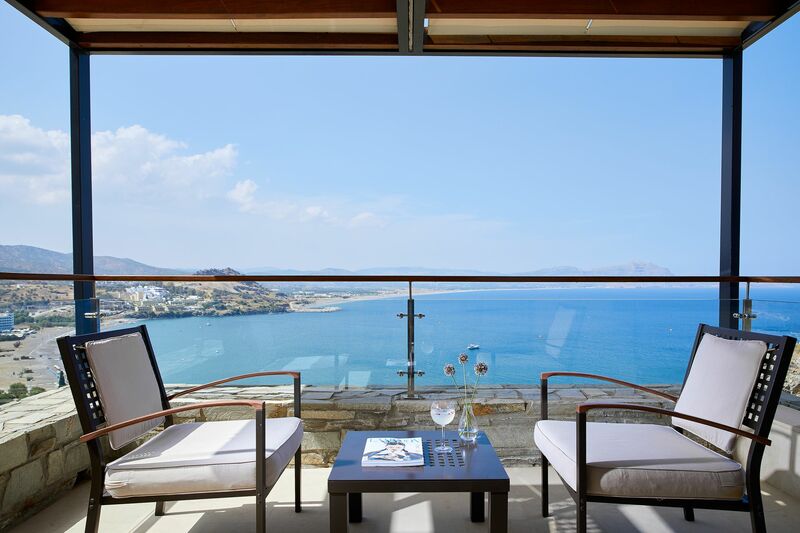 A private, sea view balcony overlooking Vlicha Bay beckons for romantic breakfasts or late night drinks.